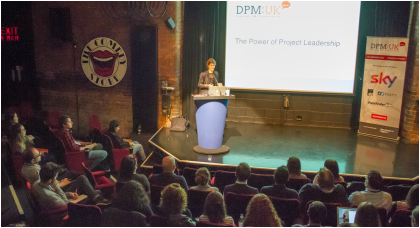 During the past seven years Susanne Madsen has given talks to organisations such as APM, PMI, Dubai International Project Management Forum, ITMPI, RICS, BCS, DPM:UK, PM Summit, Philips, Alcatel-Lucent, Citigroup, Kainos, Women on the Wharf and EPWN. She has also been a guest lecturer at Warwick Business School, Regent's University and University of Westminster. In addition Susanne has featured in numerous webinars and podcasts, including the PM Podcast, People and Projects Podcast and Coaching for Leaders. Susanne was the perfect Keynote Speaker to kick off our event! Susanne's APM talk has been recorded by the PM Channel.